First off There is no shame in playing the game on normal, easy or anything else play the game at a difficulty level that feels right and dont be afraid to tune it down if its too hard. A real gm would tailor the game to his players, but since you dont have a real gm, dont be afraid to lower the difficulty or raise it as you see fit. Theres a nice bunch of pregens to choose from, but if you're anything like me, you want to make your own. Im going to cover the basics of character creation so you can make a fun, useful build. Strength - How easy it is to hit and how much damage you deal with melee. carrying capacity. Dex - How easy it is to hit with ranged weapons and adds a dodge bonus to AC. Reflex saves. Con - How many hitpoints you have and how far negitive you can go before you die. Fortitude saves. Dont make it below 10 or you will regret it. Int - Wiziard and Magus spells. Give aditional skill points (not tested in the game). Wis - Cleric and druid spells. Will saves. I recomend not dumping this one. Cha - Bard and Sorcerer spells. If there's a green tick next to a skill, that means it is important for your class. 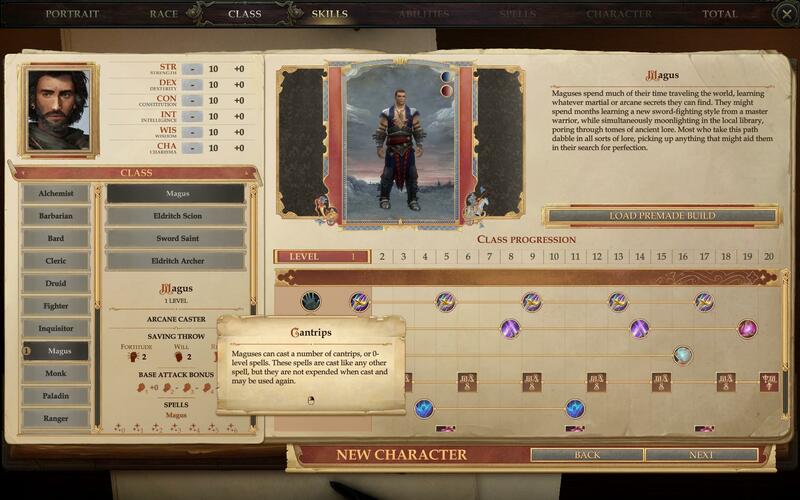 When selecting a class, there will be a level progression chart at the bottom. Pathfinder allows multiclassing. Prestiege classes can only be unlocked once the requirements (listed when hovered over) are met. 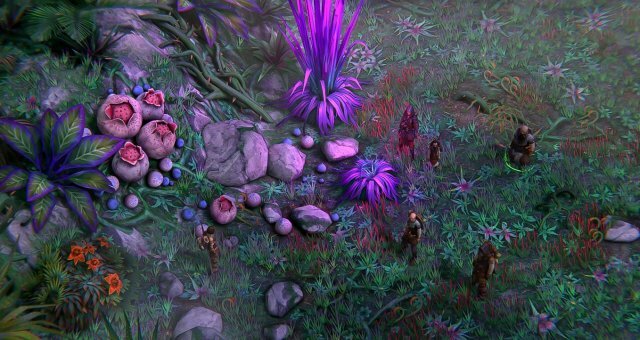 Generally you want to decide if you want a presteige class early on and build yourself around it if so. This is your base ability scores. Melee attacks. you'll notice four icons. thats because each time your BAB (12.) reaches five, you gain an additional attack. curently I'm getting one attack at -1 to hit. (I'll explain why when I get to feats). Ranged attacks. same as melee, except for anything that specifies itself as a ranged attack (Scorching ray, acid splash, bows, etc). Combat manuver Defense and Bonus (look in advanced combat). AC, Flat footed AC, and Touch AC (Basic combat). Saving throws. when forced to make a saving throw, you will roll a d20 plus or minus whichever save it is. Abilities. Make sure to hover over them to find out more. Skills. hover over them to see what each skill is used for. spells. the number next to the sparkles shows the level of the spell, the number under shows how many you get per day. Base attack bonus. added to all attack rolls. what weapons your character is able to use. simple are things like daggers and clubs, martial is things like swords and greataxes, and exotic are special ones such as elven curve blade and andori dueling sword. DR is how much damage you ignore per attack. more on this in Tactics. Energy resistence. include resistence to the elements and immunities. Die Hard - Lets you fight on an aditional round after dropping to negative. Warning, this will keep you as a valid target and can lead to a swift and painful death. Before you can get to hacking and slashing, you have to bring the right supplies. First and most importantly, BRING A HEALER or some form or healing if none is available. I cannot stress enough how crucial healing is. there are plenty of potions in the intro area for you to bring until you can get a dedicated healer, so make sure to loot all the potions you can. Rations, you will be unable to hunt in dungeons and underground. I like to bring double my party number, but you do you. AoE(Area of effect) weapons. these include but are not limited to: alchemists fire, acid, burning hands, Alchemists bombs, etc. some monsters can only be hurt by these attacks. Debuff removal. Spells like remove curse, remove blindness, and restoration. we'll get more on this later. Spellbook - Pop up menu. from here you can select spells. Spell level - Selects which spell level you wish to view. 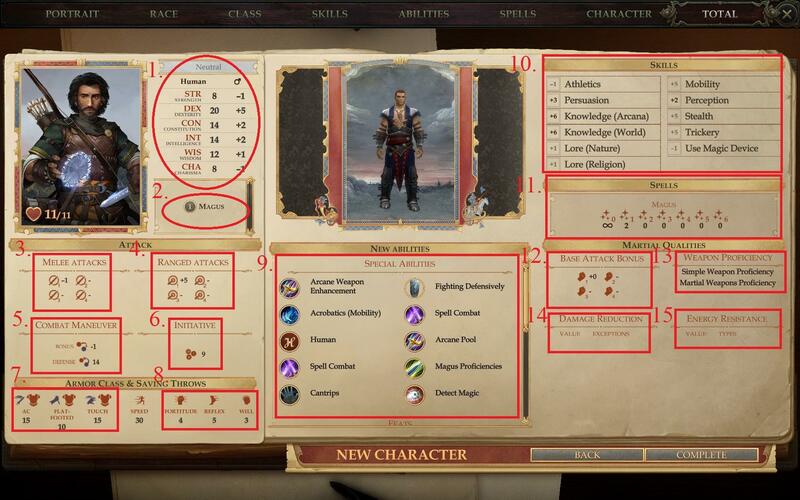 Abilities - Click to open a pop up menu showing all activated or toggled abilities this character has. The belt - A pop up menu that shows the belt inventory. Weapon Select - Click the arrow to open a weapon select menu. Sneak and AI - The eye toggles weather the character is sneaking or not. The brain toggles AI on or off for this character. To have a character repeat an action, right click it. Right click the action again to undo. From the inventory screen you can outfit your adventurers. Armor slots highlight when dragging a valid item. Belt - From here you can put items like scrolls, potions, wands, etc. in a "Belt pouch". From here it can be accesed through pop up menu "4." as seen above. Weapon presets - Any weapons in this preset can be quckly swapped between using pop up menu "5." as seen above. Pen and paper pathfinder (try saying that three times fast) features turn based combat. since this game is live action some things are different. one "round" is six second. during a round a character gets one action, a move, and a swift action. Free actions are, as the name suggests, free and can be done limitlessly. We're going to start with simple and cover spells later. 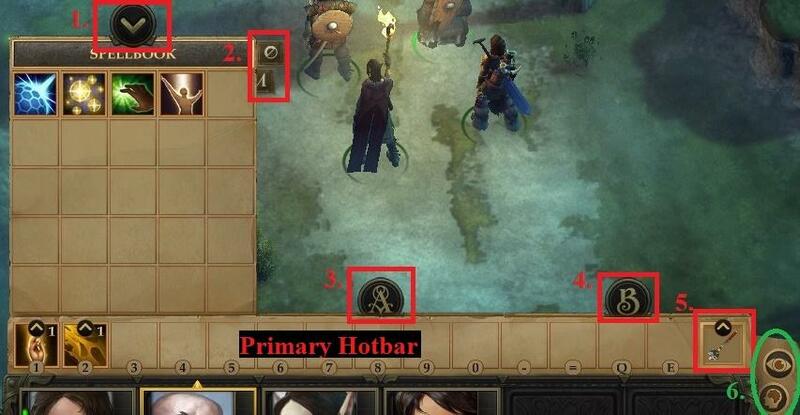 Initiative Each character rolls iniative as soon as both parties (yours and the opponants) see each other. The higher the Initiative, the faster your character gets to act. Attack Roll When you make an attack roll, you roll a d20 plus attack bonus. (Other modifiers may also apply to this roll.) If your result equals or beats the target’s Armor Class, you hit and deal damage. Crits and Crit Fails on a natural one (hence forth known as a nat one) your character auto misses reguardless of bonuses. one a nat 20 they auto hit and "threaten" a critical. after a person rolls a nat 20 they roll again, if they beat the targets ac the second roll they confirm the crit. on a fail they just hit as normal. Attack Bonus this is added to your d20 roll after it is made. the game calculates bonuses automatically. 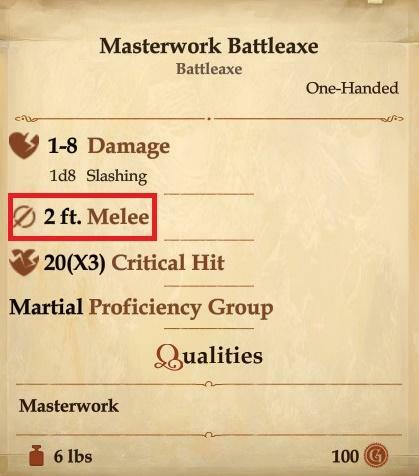 however, keep in mind that this bonus comes from this formula "Base attack bonus + Strength modifier + size modifier" for a melee weapon (dont worry rogues, there's a feat to make that dex instead of strength) and "Base attack bonus + Dexterity modifier + size modifier - range penalty" for ranged attacks. im unsure if ranged penelty applies in this video game. Armor Class (AC) this is the number that needs to be beaten in order to hit and be hit. your ac is calculated for you, however, here's how to bump it up. "AC = 10 + armor bonus + shield bonus + Dexterity modifier + other modifiers" more on that later for you guys looking to make a tank. Regular AC. All bonuses apply. Flat Footed AC. Dex and dodge bonuses to AC are removed. Generally pops up when restrained or unaware of opponants. Touch AC. Armor bonuses dont apply. generally pops up against touch spells like scorching ray or acid splash. Attacks of Opportunity When running, casting a spell, drinking a potion, and a handful of others in a threatened area (an area an opponant could hit you) they can take a free attack on you. Flanking in Pathfinder: Kingmaker, all you need to do is have two people attacking/threatening the same target. Rogues can sneak attack a flanked target. Remember how I said Con was useful? This is why. If your hit point total is negative, but not equal to or greater than your Constitution score, then you arent dead. However, when your character’s current hit points drop to a negative amount equal to his Constitution score or lower, you are dead. On normal difficulty, this give you the "Deaths Door" debuff. All that means is next time you die before resting at a safe area, you're actually dead. Reach weapons, as the name suggests, let you reach further than a normal weapon. the number I highlighted here shows how close a target must be in order to attack them. 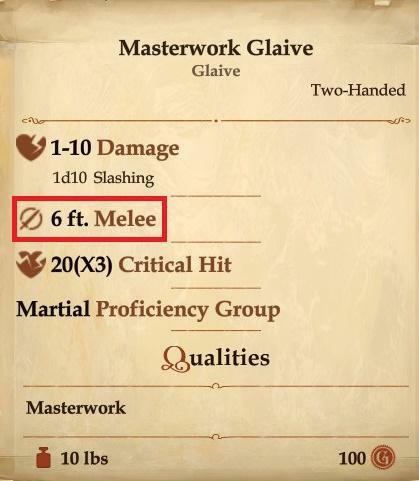 The glave has a further reach than a normal weapon, which makes it perfect for getting low AC characters into melee without dying as often. A combat manuver is alternative form of attack that debuffs the enemy. In order to unlock the use of a combat manuver, the only way (that I've found) is to take that combat manuver's assosiated feat. In order to take most combat manuver feats, you must first take "Combat expertise". This require 13 Int so if you want to use combat manuvers, dont dump Int. The game handles all the heavy lifting and number crunching, so all you have to do is select the ability and who you wish to use it on. manuvers like dirty trick allow you to blind or entangle your opponant, where as trip lets you gain the upper hand by forcing your foe to either a) fight from the ground with some hefty penelties to AC and attack or b) stand up and provoke an AoO from everyone in range. There's plenty more, like disarm, bull rush, a sunder just to name a few. CMB (combat manuver bonus) is the bonus you add when trying to proform a combat manuver. you need to beat your opponant's CMD (Combat manuver Defense). 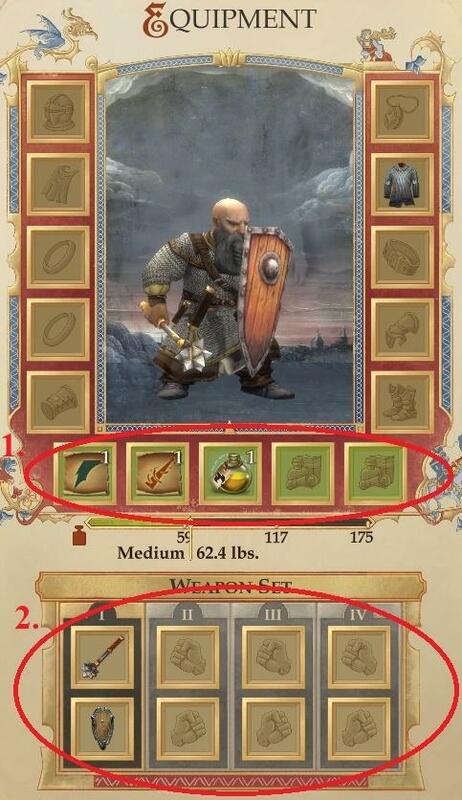 CMB relies on the following formula: "CMB = Base attack bonus + Strength modifier + special size modifier"
The common size modifiers are Tiny –2, Small –1, Medium +0, Large +1, Huge +2. Spells like enlarge person will help with CMB and CMD. sometimes you need to decide weather to use a combat manuver or a regular attack. bigger creatures have higher CMD. The CMD formula is: "CMD = 10 + Base attack bonus + Strength modifier + Dexterity modifier + special size modifier + miscellaneous modifiers". by this point you've seen tons of bonus. Bracers that give +1 armor bonus, spells that give +2 deflection bonuses. Luck bonuses, moral bonuses, what does it all mean? As the d20PFSRD says so eloquently. "Bonuses are numerical values that are added to checks and statistical scores. Most bonuses have a type, and as a general rule, bonuses of the same type are not cumulative (do not "stack”)—only the greater bonus granted applies. The important aspect of bonus types is that two bonuses of the same type don’t generally stack. With the exception of dodge bonuses, most circumstance bonuses, and racial bonuses, only the better bonus of a given type works. Bonuses without a type always stack, unless they are from the same source." There are too many types to list here, so i'll leave the link for those who are curious. The first and arguebly most important part of playing a spell caster is choosing the right spells. But first, lets talk about the four types of casters. You have to find out what type of spellcasting your class uses. Arcane spells are traditional magic while Divine spells come from a diety and through prayer. Prepared spells mean you need to select the spells you want at the begining of the day, whereas spontanious knows a certain number of spells and can cast any of them a certain number of time per days. A wizard has to decide what spells he wants in the spellcasting tab (more on that later) before he rests for at least 8 hours. Once he wakes up, he can only cast the spells he prepared. A wizard is a prepared caster, he can learn as many spells as he wants (copy them in his spellbook) but has to choose which he wants each day. A sorcerer however is spontanious caster. They cannot learn new spells except by leveling up, however they they can cast any spell they know at any time. This is because prepared casters need to sort out componants and such in advance to cast these spells, and are generally people who got their abilities through study or devotion. Spontanious casters represent raw magical power. Its unrefined, unlike a prepared caster, but its this quality that makes them so veristile. Arcane prepared casters: Magus, Wizard. Divine prepared casters: Paladin, Cleric, Druid, Ranger, Inquisitor. To cast a spell, you must concentrate. If something interrupts your concentration while you’re casting, you must make a concentration check or lose the spell. your concentration check bonus is your caster level+your casting modifier (Int for wizards, Cha for bards, Wis for clerics, etc). The difficulty class (DC) of concentration changed based on what is distracting you. Failing a concentration check will cause you to lose the spell slot. Casting a spell typically provokes AoO from anyone in range, however in this game all casters who would provoke instead cast defensively against the DC seen in the list above. If they fail casting defensively they provoke AoO as normal. Almost every single spell falls under a school. These are important if you take "Spell focus" or have favored schools or oposition schools. *Conjuration: Creating something from nothing and summoning. Divination: Spells focused around foresight. Enchantment: these are spells that affect the minds of others. *Evocation: The blunt hammer of magic. Pure DPS and AoE. Illusion: Illusion spells deceive the senses or minds of others. Necromancy: these spells manipulate the power of death, unlife, and the life force. *Transmutation: these spells change the properties of some creature, thing, or condition. *I reccomend not choosing these for oposition schools due to some very useful spells. Certain spells take a "Full Round" to cast. These spells include summon monster, enlarge/reduce person, and more. Unsure if your spell is full round casting time? Check your spell on the open reference and if under casting time it says "full round" thats a long spell. Monsters are tough. But with the proper preperation, you can be tougher. In this section I'll be going over DR, weaknesses, resistances, immunities and other helpful tips. DR is an amount subtracted from all attacks that dont meet a certain criteria. For example, a lower demon like a dretch has DR 5/cold iron or good. "What the ♥♥♥ does that mean?" woah easy there Im getting to that. it means any nonmagic attacks you hit him with do five less damage than they should. However, if your weapon is made of cold iron or is classified as a "good" weapon, it bypasses that. If something has DR 5/blunt, use a club. DR 10/slashing, use a sword or axe. you get the idea. Continuing on with the dretch, he has "resist acid 10, cold 10, fire 10". Think of it like situational DR, if you hit him with 15 damage from a fireball, he takes 5. One last dretch example, the dretch stat block reads "Immune: electricity, poison". Once again, similar to DR, however this time there is no limit on it. it doesnt matter if you hit him with five points of lighting or 100, he aint taking none of it. Some creatures are vulnerable to a certain energy type. For example a treant takes 50% more damage from fire. some creatures have their abilities suppressed when exposed to a certain energy type; trolls lose their fast healing temporarily when exposed to fire or acid. As the Master of Scrolls himself once probably said "If you're fighting a swarm, bring Area of Effect spells, bombs, alchemists fire or acid flasks. 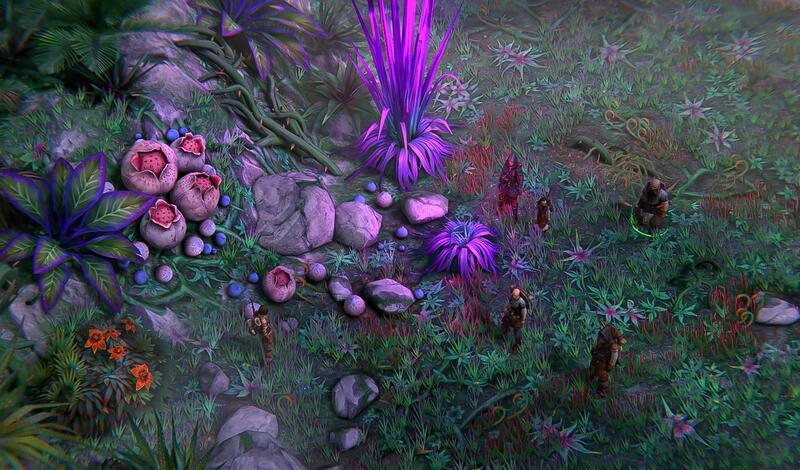 Swarms made of tiny/diminuitive creatures cannot be damaged by weapon attacks. swarms made up of bigger creatures (like rats) only take half damage from it weapon attacks that arent blunt. Some (like spider swarms) are also immune to mind effecting. Double check your spells before casting it on these bad boys. If you dont have any AoEs, I suggest you run for your lives. Swarms are not immune to any form of elemental damage however, so if escape isnt an option, pull out one of those everburning torches and go to town. unsure what type of swarm your is? Look it up on the pathfinder open reference and check the stat block" -Kreighton Shaine (probably). Q: How can I make a full custom party? A: Hire companions from 8 Eyes in the tavern. The price scales by the level of your character. If you fight off the bandits then talk to her before leveling up, it should only cost 500gp per hero. Q: Why is X monster so tough? A: Some monsters are above your level, but if you're curious try looking up that monster or a similar one online for PnP pathfinder. A lot of stat blocks are very similar. Written by A Playa Named Ross.